Goodness gracious me! 😀 That’s even more than my annual gross salary. Maybe I should quit my full time job already. Haha. But here’s the caveat. My net worth is measured in dollars. So I’m only becoming richer relative to the local currency. But as we shall discuss below, currency depreciation can be a real PITA. 😛 Policy makers from around the world are covertly initiating inflation to see which country can print the most money to improve their economy’s competitiveness. But by doing so, the devastating knock-on affects will financially destroy millions of lives in the years to come. If you’ve purchased car tires before you are probably familiar with inflationary pressures. Inflation has been fairly high in 2016 so far. The government won’t admit it for political reasons, but regular folks like you and I have most certainly felt the effects of rising expenses in our wallets. Over the last year nearly all types of spending in Canada have become more expensive. Crude oil was trading at US $35 per barrel when the year started, but now it’s just over $45, a 29% increase. Coincidentally the price of silver bullion has also increased by 29% over the same 4 month period. The price of oil affects the price of many consumers goods, not the least of which is food, due to transportation costs. And since we use silver in photography, x-rays, solar panels, mirrors, cars, medicine, smart phones, and other consumer electronics, we can expect higher costs in these related fields moving forward. Then there’s the largest monthly expense for most people – housing. The most recent S&P/Case Shiller index shows that U.S. home prices in February grew 5.3% year over year. I don’t even have to mention how crazy hot the Canadian real estate market has been lately. 😛 CREA forecasts the national average price this year will probably increase by 8%. So house it going on the west coast? you might ask. Well let’s just say February was a record-shattering month for home sales in British Columbia, with a 45% increase in volume compared to a year ago. A few years ago I wrote a post detailing how prices of different goods increased 100% to 200% between 1990 and 2010. But if we were to store our net worth 20 years ago in real tangible assets such as oil, land, fixed properties, silver, and profitable businesses, instead of simply holding on to money or “savings,” then we could keep all of our purchasing power. The reality is that life doesn’t cost more over time. In the 1990s if we needed fuel, we could buy 2 or 3 barrels of oil with 1 ounce of silver. Today in 2016, we can still pretty much do the same thing. On the other hand, buying oil with dollars would cost us 150% more today than in 1990. In other words, the costs of time, labor, skills, commodities, goods and services, which are all things that have intrinsic value, tend to stay fairly constant across multiple generations for the most part. But it’s the currency that is usually the clear outlier and it tends to lose value over any extended period of time. One way we can hedge against inflation is through investing. Here are some choices that I’ve made in the past that have made 2016 one of my best years so far! Buying physical commodities: I occasionally purchase silver and gold directly from the Royal Canadian Mint and bullion exchanges. For example, about half a year ago I bought a 100 oz silver bar which has appreciated in value since then. 🙂 I also practice earning silver wages, which basically means I make a portion of my money in silver to diversify my income. I’m not suggesting everyone should go out and do this too. I’m just saying from my personal experience this has been profitable for me. 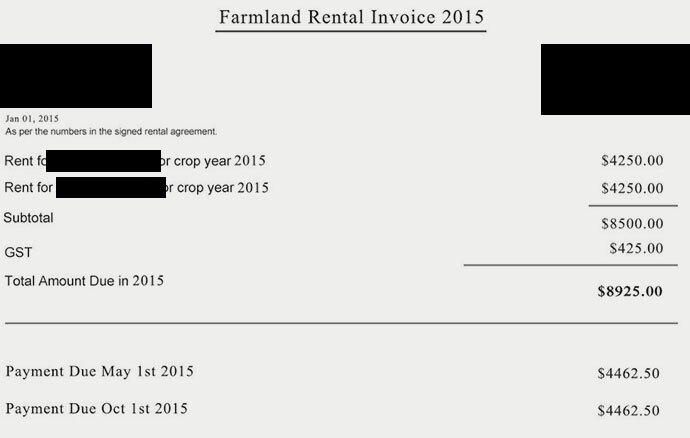 Buying farmland: My down payment was less than 15% so this amplifies my return on investment by many folds. Canadian farmland prices have grown on average by 10% last year, which boosted my net worth by more than $30,000 as I’ve explained last month. Buying real estate: I purchased a condo here in Vancouver when many people warned of a real estate bubble. Maybe they’re right, maybe they’re wrong. All I know is Vancouver condos have increased in price by 10% over the last year, adding over $25,000 to the market price of my property. As we can see all these investments represent real, tangible assets that have economic value, and therefore do not suffer at the hands of inflation. Everyone wants to know the secret to investing. But it’s really quite simple. All we have to do is look at historical patterns in the economy and apply common sense. 🙂 Piece of cake, right? Stocks were pretty much flat in April. But my net worth increased by over $26,000 mostly due to the updated farmland value. The most recent FCC assessment report shows Saskatchewan farmland value rose 9.4% in 2015. The average inflation rate (CPI) in Canada in 2015 was about 1.4%. To be on the conservative side, I have adjusted the farmland value on my net worth statement by taking the average of these two figures, which is 5.4%, or an increase of about $22,000.